A Senior Real Estate Advisor at Compass with an extensive track record of sales, Harrison encourages his clients to a) trust the process, and b) hire not just for pedigree, but also for potential. He is focused on delivering the best possible experience and outside-the-box solutions to every client, to build a high level of trust and confidence, and ensure that their needs are met and exceeded. With years of experience in real estate, Harrison began his career in the commercial arena as an analyst, then transitioned to the residential market where he specializes in development, new construction sales and resales. His analytical background fuels his keen pricing and market knowledge, and his ability to identify the best opportunities and strategies for his buyers and sellers. Clients appreciate the tremendous care and attention to detail Harrison brings to their transactions. His tenacious nature, aggressive yet deliberate approach, and extreme communication throughout the process put their minds at ease, knowing he will stop at nothing to keep them informed and help achieve their goals. Coupled with that is an exceptional flair for negotiating and bringing all parties together with success, adding value on the optimal level. 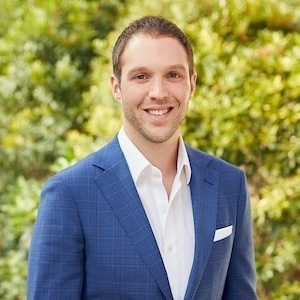 A Manhattan native and longtime Highland Park resident, Harrison is an SMU graduate with a BA in International Economics, BA in Philosophy and GMCP in Marketing. He holds a Masters in Management and Strategy from Cox School of Business, and previously worked in the marketing department for the Dallas Mavericks. Harrison works out every morning, meditates every night, and loves spending time with his wife, daughter, dog and cat. He is an active member of Young Texans Against Cancer and Social Venture Partners.